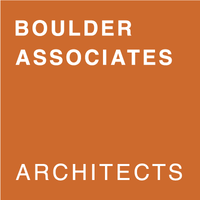 Boulder Associates have specialized exclusively in healthcare and senior living design since our founding in 1983. We understand the core issues that concern our clients, from broad economic and regulatory pressures to day-to-day operational challenges. We take these challenges on as our own, and we meet them by combining beautiful, innovative design with high-quality, efficient, and cost-effective solutions. Our clients include some of the most progressive healthcare and senior living organizations in the United States. We help them set new standards for healing environments by aligning their facility investments with business strategies and goals. We achieve this by emphasizing innovation, design and technical excellence, and a collaborative approach that forms lasting partnerships. Our hands-on approach focuses on one goal: to become a leader in design for health and aging by establishing ourselves as trusted advisors to our clients. With offices in Colorado, California, and Texas, Boulder Associates maintains a staff of architects, interior designers, and graphic designers who all share a belief in the power of design to enrich lives. We believe that good design directly serves the needs of our clients, their patients and residents, and the surrounding communities.